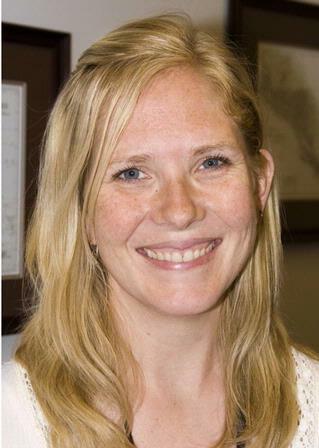 Dr. Watkins is a native of Madison, Wisconsin and, after attending the Medical College of Wisconsin in Milwaukee, she did her intern year in Madison and finished residency at the La Cross-Mayo Family Medicine Residency Program in La Crosse, Wisconsin. She first practiced rural medicine in a town of 3,000 after residency and enjoyed caring for farmers and working in a rural setting. She has worked for UR Medicine since 2006, first as faculty at the Family Medicine Residency Program and now as Medical Director of Canalside Family Medicine since Canalside opened in July 2013. Her interests include prenatal care and obstetrics, including deliveries at Highland Hospital, newborn care, office based procedures including skin biopsies, laceration repair and colposcopy, caring for Spanish speaking patients, and teaching medical students and residents. She is passionate about caring for and working with families across the spectrum of their lives. She and her husband have 2 sons who keep them busy. Her outside interests also include running, hiking, gardening, traveling and exploring Upstate New York. Ingrid is a native of Madison, Wisconsin and after attending the Medical College of Wisconsin in Milwaukee, she did her intern year in Madison and finished residency at the LaCrosse-Mayo Family Medicine Residency Program in LaCrosse, Wisconsin. She first practiced rural medicine in a town of 3000 after residency and loved caring for farmers and working in a rural setting. But, she and her family decided to move to Rochester in 2006 to live near her sister's family, and she found a great job as a faculty member at the family medicine residency program here. Her interests include procedural medicine including colposcopy, obstetrics, care of Spanish speaking patients and resident education. She and her husband have 2 children who keep them busy. Her outside interests also include hiking, gardening, traveling, exploring beautiful upstate NY, and spending time with family and friends.